Last Monday, we attended the 2009 Fancy Foods Show in San Francisco at Moscone Center. If you haven't been to this show, it is a great way to sample new and interesting upscale products and foods--for a reasonable admission price of $35.00. We wanted to share 10 things that we thought were inspirational and interesting at the show. This elegantly bottled tea is made from tea sweetened with cane juice and mildly fermented. 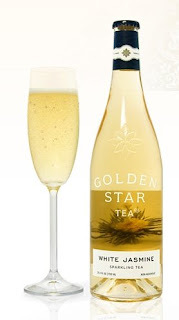 The result is a non-alcoholic (~0.5% alcohol by volume) lightly sparkling beverage with the perfect balance of sweetness and delicate flavor of jasmine that bubbles the palate. It is perfect to pair with cheese, seafood, greens and fruit. Ketchup takes on another culinary dimension with these new flavors. All of these ketchups had delightfully complex profiles with Maya Kaimal's addition of Indian spices and caramelized onions and Dulcet's Sweet Orange Chile Ketchup, Peppery Moroccan Spice Ketchup, and Mild Indian Curry Ketchup. "Honey you can hold" is the tagline of this innovative product from Canada. 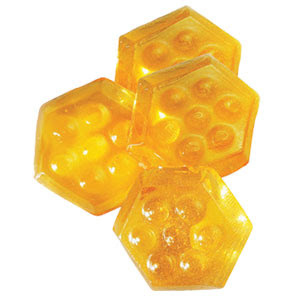 Made of 100% honey and nothing else, this company has cleverly dried honey into this lovely honeycomb shape allowing you to drop it directly into your tea. We love the idea of "planking" brie cheese. 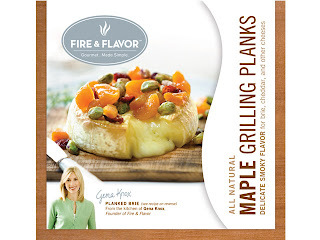 In the same way you soak cedar planks to grill salmon, these maple planks are perfectly sized to bring a smoky flavor to cheddar, brie and other cheeses. We also liked the more flexible cedar grilling papers to infuse your meat, vegetables, seafood or fruit with flavor. These sodas are botanically brewed-aka fermented for seven days. 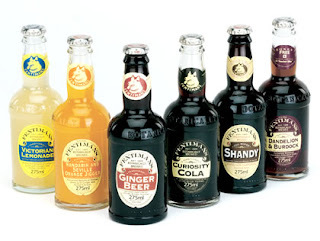 The results is a delicious selection of flavors from a non-alcoholic Shandy to an English favorite Dandelion and Burdock to the very popular Ginger Beer. In the same way we have seen infused salts, these sugars are naturally flavored to spice up your sugar. Our favorites were green chili and habenero which we were told are wonderful on chocolate ice cream. Sounds good to us! This gets my "Inner Martha" award for bringing something that can be difficult to the masses. "Have you ever had a gingerbread house collapse?" is what the creator at the booth asked me. I have! and it is disastrous and ever so disappointing. 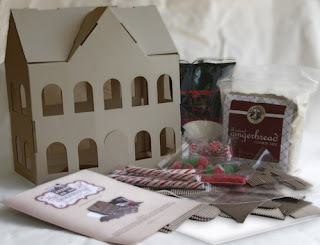 With this kit, you bake your gingerbread onto a paper backing that has tabs. The tabs fit your baked sides into a cardboard structure, eliminating the need for royal icing as glue and giving your house some structure to prevent collapse. The kit including the frame to hold your gingerbread. Now you can get right to the decorating! I would imagine that this sturdy structure would allow you to keep this gingerbread house year to year. I'm a fan! Other designs are in the works for you to create an entire village. These get the "Most Improved" Awards for their second round of new flavors being even better than the first. Dry Soda's Juniper Berry is a refreshing non-alcoholic take on gin--which is so popular right now and the vanilla bean is a lighter take on cream soda. 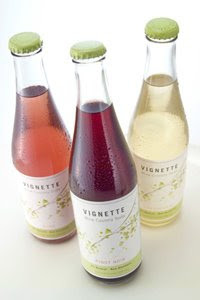 Vignette Wine Country Soda introduced a Rosé to their line of flavors--perhaps the nicest of all. This novel product freshens your breath from the inside out. 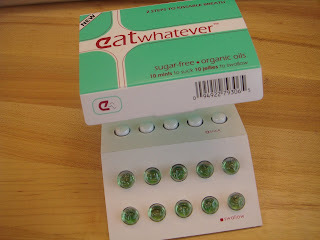 With mints for your mouth and "jellies" or gel capsules of organic peppermint and parsley oils for your tummy, you'll have fresh breath in no time. And after 6 hours of eating cheese, chocolate and many other intensely flavored foods, I really needed this! 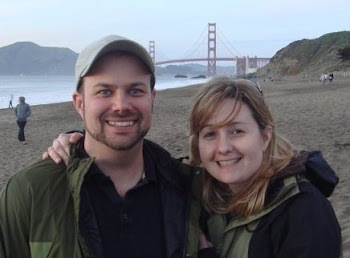 Hey guys, I just discovered your blog... what a fun read! I love the Honey Drops in this post. What a great, simple idea! !